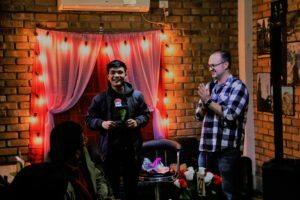 BlogHome Events, News Vocal Quest Junior Kick-Off! This is Jennifer Lalrimawi, she took part in this year’s Vocal Quest Junior auditions. 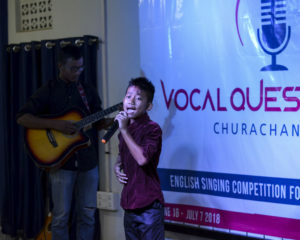 The second edition of Vocal Quest – this one is being called Vocal Quest Junior, for children ages 16 and under – kicked off this past Saturday, June 16, in Northeast India. To find and promote local singers. To give an opportunity and platform for these singers to develop and showcase their talent. To invest in the local community by providing fun, wholesome activities. 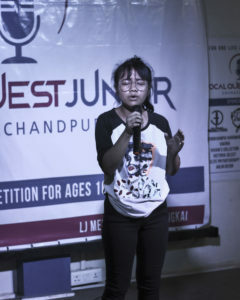 Haulien, along with many of the other top contestants of Vocal Quest Solo, are now regularly invited to perform at public events around the community, allowing them to earn some money for themselves and their families. Photo from this year’s auditions. This is Lalruthlua. Our hope is that Vocal Quest Junior will unearth even more talent and provide even more opportunities to the children and youth of the community.